Since we were gone the last 10 days on vacation, we made sure to eat everything we had in our refrigerator prior to leaving. I gave my fruits and produce to my sister and we ate all our leftovers. 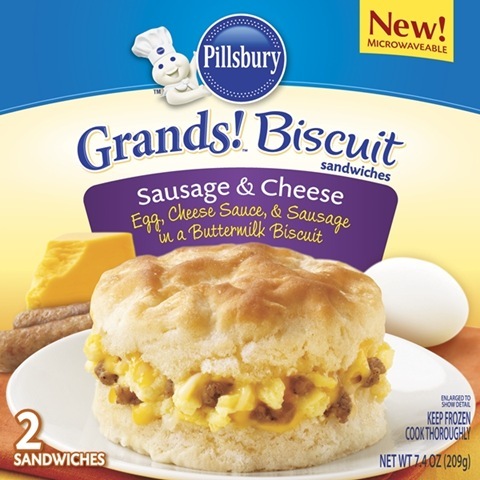 I recently received samples of the new Pillsbury Grands!® Biscuit Sandwiches and Pillsbury Egg Scrambles. I’ve had them stored away in the freezer waiting for the right time to eat them. Well, the weather is significantly cooler now and in the mornings we are craving something hot and quick for breakfast. We have been enjoying the egg scrambles and biscuit sandwiches the last few days. 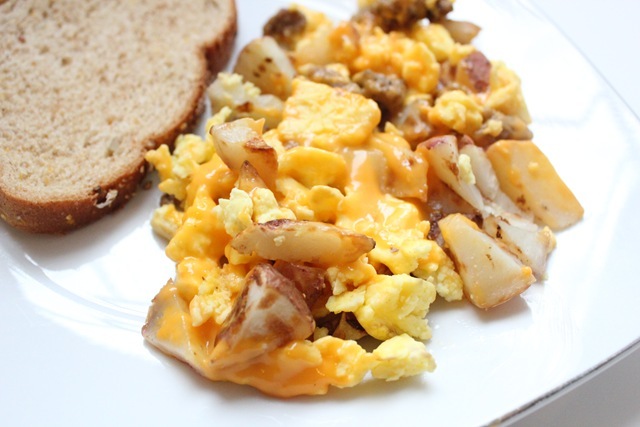 I was glad that the egg scrambles had chunks of potatoes in them and that they didn’t turn to mush in the microwave. I ate mine with toasts and some hot sauce on top of the scrambles. I only wished they offer a vegetarian option because I’d prefer to have vegetables than meat for breakfast. Chris liked the biscuits more. They were doughy and the layers of eggs, cheese and bacon bits were delicious. Pillsbury Grands! Biscuit Sandwiches and Pillsbury Egg Scrambles are available in your grocer’s freezer and they heat up in minutes in the microwave. 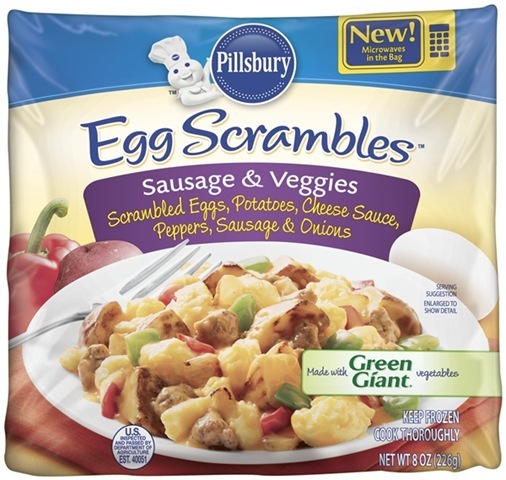 If you would like to enter the giveaway, just leave a comment on “Which of the new Pillsbury Frozen Grands! 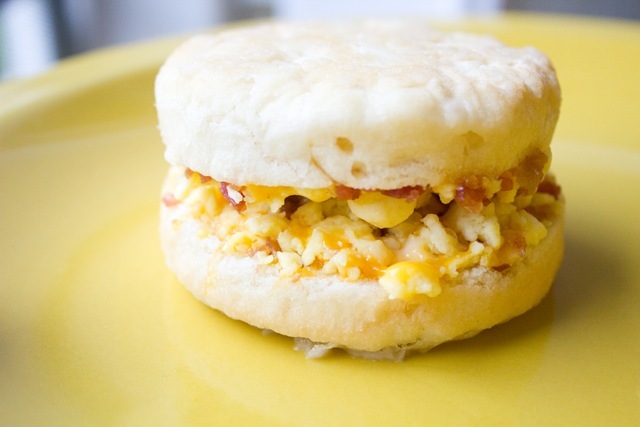 Biscuit Sandwiches and Pillsbury Egg Scrambles are you most looking forward to trying? Giveaway will end at 10pm Pacific time today (Nov 15th). Winner will be notified thru email. This giveaway is open to Continental U.S. residents only! I would like to try the Ham & Veggies Biscuit Sandwich. I am like you, I like more veggies than meat for breakfast too. The sausage and cheese one! My son would love that! I know Mike and him would enjoy these, I saw them at the store but am hesitant to buy, because Anthony can be picky, I got him another brand of sausage and cheese biscuit and he did not like it! i’d love to try the Bacon & Cheese Biscuit Sandwich! I actually wish there was a veggies and cheese biscuit! I would love to try the Sausage & Cheese Biscuit Sandwich. My man-friend would love these though! I think the Sausage and Cheese egg biscuit would be perfect for me! Yumbo. My husband and I are fans of egg sandwiches so I’d like to try the biscuit sandwich. Both look good though! The sausage and veggies scramble sounds wonderful! The biscuit sandwich looks yummy! definitely the sausage and veggie scramble…this has made me hungry!